To qualify for SSDI or SSI, you must first be diagnosed with a medical condition by a licensed doctor or psychologist. This impairment must also affect your ability to maintain steady employment. Of course, not every applicant has extensive medical records, so this is when a medical source statement can be very beneficial. Your doctor can detail the symptoms of your condition and the limitations it imposes on you. The SSA Blue Book is a “master list” of disabling disorders that representatives use to compare against an applicant’s medical diagnosis. The book is available online, however, entries can be lengthy and very confusing. In addition, some disorders, such as those affecting the respiratory system, heart, kidney, and liver, rely on exact numbers for specific diagnostic tests to come to any definitive conclusion. Your doctor or psychologist can review your condition in relation to the Blue Book to determine if your medical conditions meet or "equal" the requirements of a disability. For example, if you have poor eyesight, you may meet the SSA's listing for visual disorder under the “special senses” category. However, if you suffer from migraines, there is no Blue Book listing. So although you may not “meet” a listing, you may “equal” a similar listing which would qualify you. Your doctor will be better able to say for sure. The SSA will use the exertional capabilities and limitations provided by your doctor to determine your residual functional capacity (RFC). Your RFC will also be based on non-exertional activities. These are activities that require very little strength and are generally relegated to mental activities such as interacting with other people, concentrating on work tasks, and following directions. It’s important to note that you don’t have to be limited in all areas to receive disability. Working regularly means a 40-hour work week; so, if your disability would require frequent time off, you may be approved for SSI or SSDI. Your doctor’s medical source statement should detail whether your condition would cause you to miss work during a typical month due to pain or fatigue, and approximately how many days could be expected. For example, if you experience frequent flare-ups lasting days due to a back impairment that pain medication cannot control, you may qualify. Prescription medications may reduce or eliminate the symptoms of your condition, however, they can produce side effects that also make it difficult to work regularly. 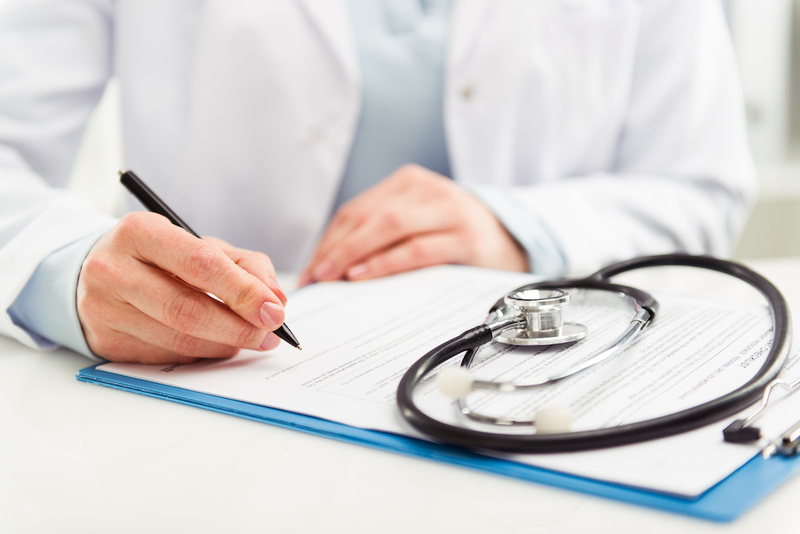 Your doctor’s medical source statement should document whether serious side effects leave you unable to perform the physical or mental demands of work. Medical tests play a large role in the SSA’s determination of disability. As such, they are quite particular about which test results are admissible and which are not. Often, it comes down to the date of the test; the older the test, the less likely it is to be seriously considered by the SSA. To be safe, you should work with your doctor to determine which tests you need to take (or which you need to retake to keep them up-to-date) in order to meet Blue Book requirements. They can also assist in compiling other medical evidence such as medication and hospitalization history. Looking for a Disability Advocate? While a good doctor is always crucial to your disability case, it can also help to have a caring disability advocate on your side. Hiring a professional disability advocate when applying or appealing can increase the likelihood of your claim being approved since they know SSA policies and procedures. A reputable advocate will help you collect the necessary documentation, fill out paperwork, present your case, and cut through red tape. We can also let you know if a dire needs situation may benefit you, and help you with that process. Want to speak with a caring advocate now? Contact the professionals at Disability Experts of Florida today.